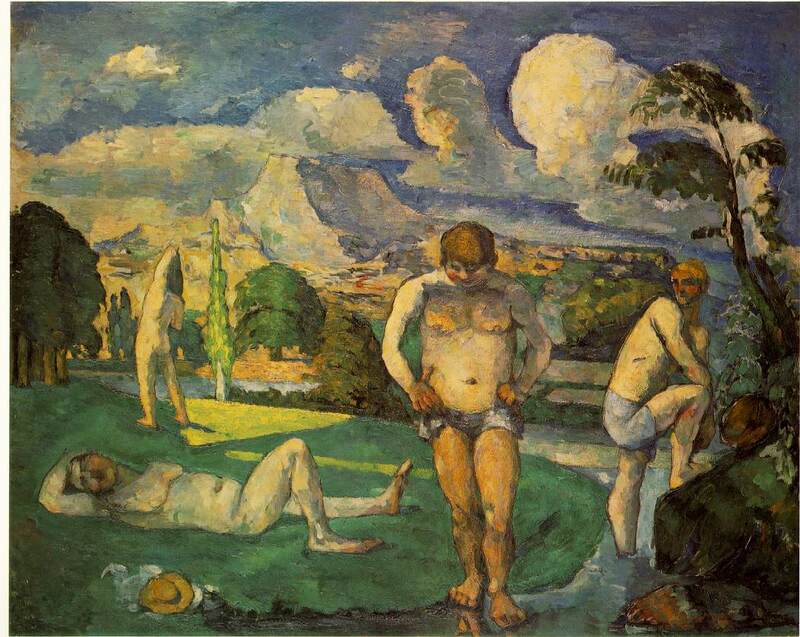 Bathers were another of Cézanne's themes. 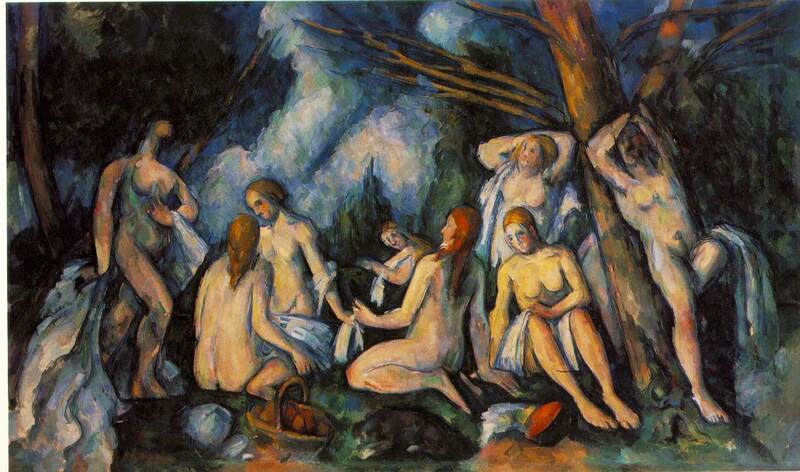 Women bathers are usually presented in large pyramidal groups, overlapping, mostly with their backs to the viewer. His men generally face forward, almost in a frieze. 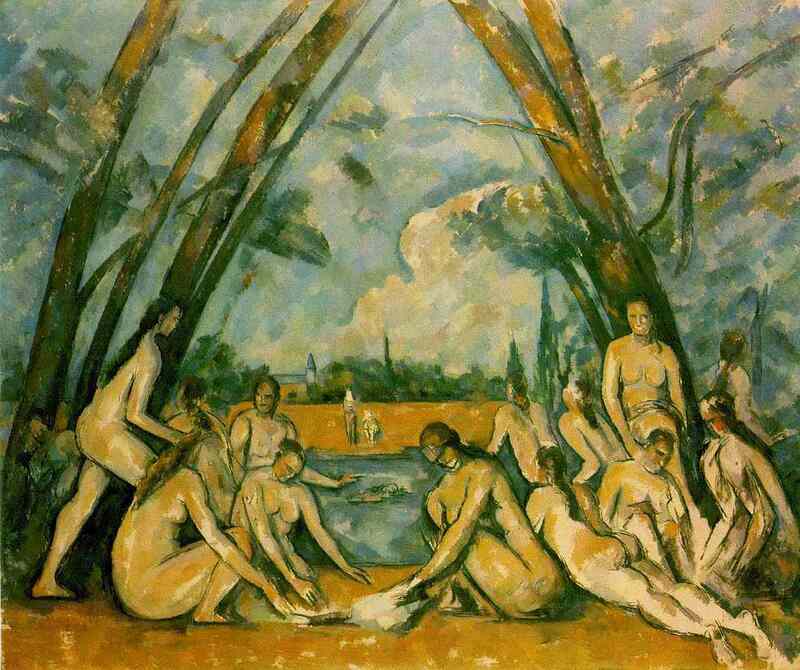 They are individuals in the same scenery, neither interacting nor overlapping. There is no eye contact between any of them. 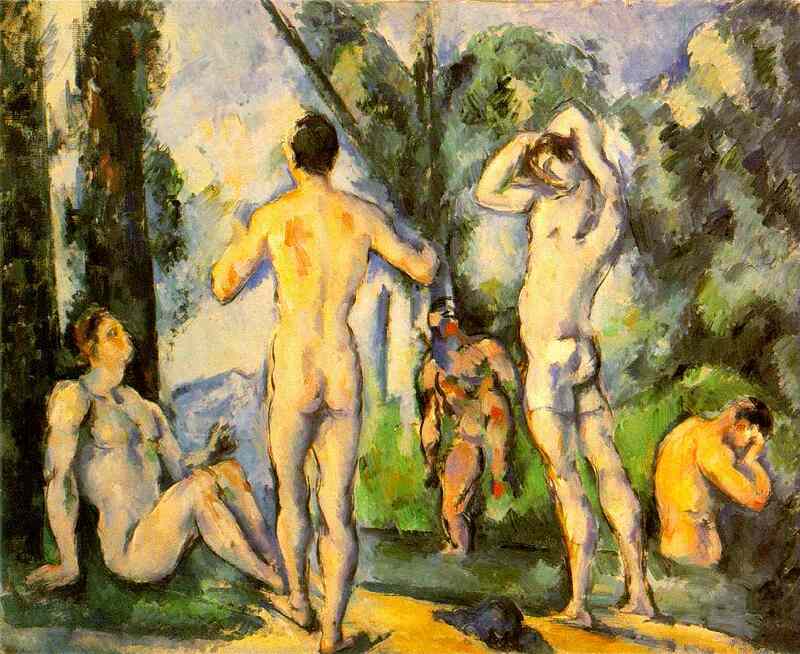 Cézanne's only real passion was his art, but that passion was never revealed on the canvas itself.